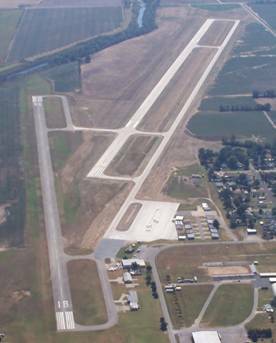 RWY 18/36 SHORTENED 667 FEET AT RWY 18 THLD. NSTD MIRL; 6 THLD LGTS RY 18; NO YELLOW EDGE LGTS LAST HALF OF RY 18, INCORRECT SPACING OF THLD & EDGE LGTS. NSTD REIL RY 36; TOO CLOSE TO RY EDGE.